Do you have a favorite restaurant that might like to participate? Let us know and we'll contact them to share information about the program. Join a growing number of restaurants making a difference in their communities and get recognized for your efforts. 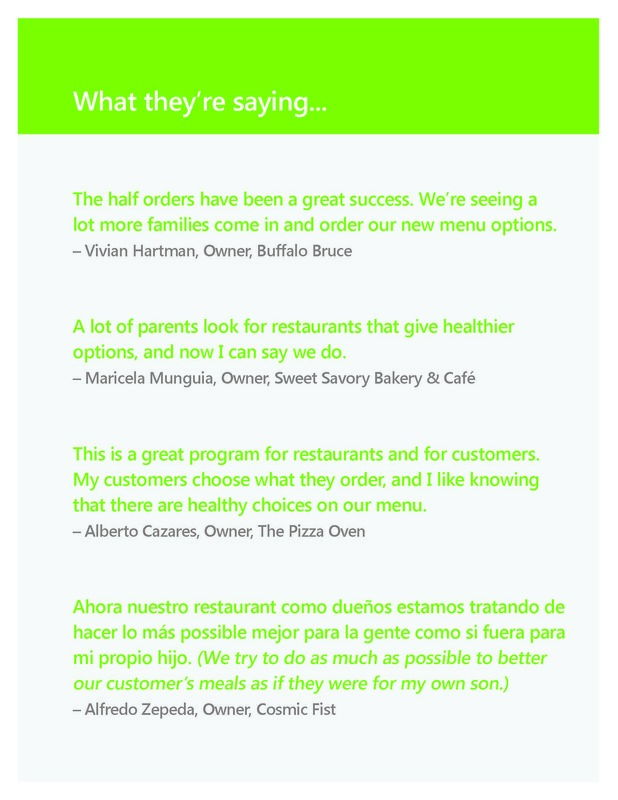 We can work with you to create a customized menu that includes healthier options. If your menu already qualifies, go ahead and complete the application. Download the full application packet (checklist, application, additional strategies, FAQs and menu examples) below in the Resources. 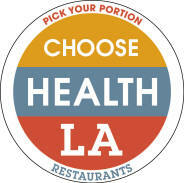 These restaurants have just become a Choose Health LA Restaurant. Welcome to the program! 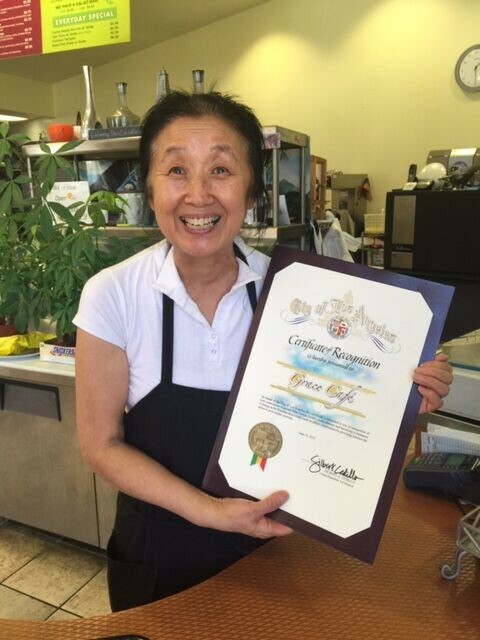 Choose Health LA Restaurants is a voluntary program that is completely separate from the County of Los Angeles Environmental Health restaurant inspection process. Program participation does not impact a restaurant’s letter grade. All restaurants inspected by the County must continue to comply with the same health standards and requirements.